Dutch Luv Day is on Sunday, Feb. 14., and all Dutch Bros locations will donate $1 from every drink sold to local food banks in their communities. Dutch Luv is in the air with funds benefitting local food banks. Dutch Bros’ annual Dutch Luv Day is on Sunday, Feb. 14. On this day, all Dutch Bros locations will donate $1 from every drink sold to local food organizations. Dutch Bros partners with their communities and customers to raise funds and awareness for local food organizations. All 256 Dutch Bros locations will donate $1 from every drink sold this Valentine’s Day to local food banks as we continue to fight hunger in our communities. On average, a $1 donation allows the food banks to purchase 7 pounds of healthy and nutritious food that highly benefits local families and individuals. "Dutch Luv is an amazing day that provides us the opportunity to take care of people in need," said Travis Boersma, Dutch Bros Coffee Co-founder. "The effort our customers put forth on that day is something I appreciate immensely." 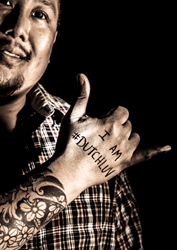 Every year, on Feb. 14, Dutch Bros participates in Dutch Luv Day. Each location is locally owned and operated; allowing each franchisee to choose nonprofit organizations that provide meals to local community members in need. Together, we can make a difference and positively impact the lives of our neighbors. To learn the organization being supported near you visit, dutchbros.com/news/dutchluv.To find a Dutch Bros location near you visit, dutchbros.com/locations.